REDEFINING THE WAY COMMODITIES ARE STORED, HANDLED AND TRADED GLOBALLY. 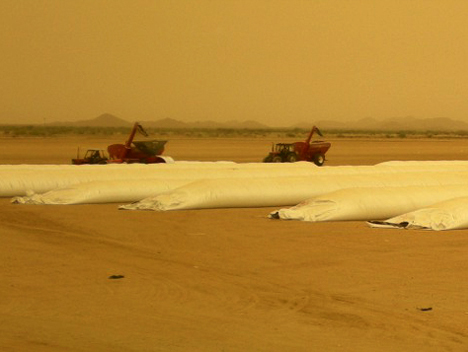 Silo Bag proudly introduces a new system which stores the grains and forages in a safe, economical and profitable way. Our bags are designed to achieve the optimal preservation of grains either at the harvest site or a dedicated storage site The bagging process is done by means of a high performance, low cost and easily transportable machine. 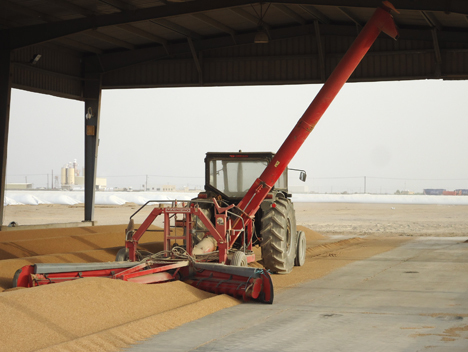 The most advanced app based grain storage, logistics and contracting system in the world. The cheapest, cleanest way to store almost any agricultural commodity. Cereals, pulses, legumes, oilseeds, almonds, almond hulls, cotton seed and most other agricultural commodities. Eliminates costly on farm storage systems. Silo Bags International (Hong Kong) Limited © All Rights Reserved.